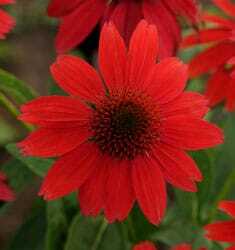 Vibrant red blooms are produced atop sturdy stems summer to fall. Good drought tolerance when established. Plant propagation is prohibited.